This magnificent tour (if we may say so ourselves!) begins in Rome and ends in London. En route, explore 5 of the world’s most fascinating countries. Uncover the verdant beauty of the Rhine Valley as you follow the Rhine River in Germany. Wake up in a village in the heart of the Swiss Alps. Set foot in the Colosseum in Rome and explore the entirety of Venice. Get charmed by Amsterdam and see what it is that has inspired so many musicians and poets. This is a thrill-a-minute trip tailor-made for making memories, relaxing & discovering! a river cruise of the Rhine River in Germany, a walking tour of Rome with a local guide, a cheese-making demo on a Dutch cheese farm and many more! 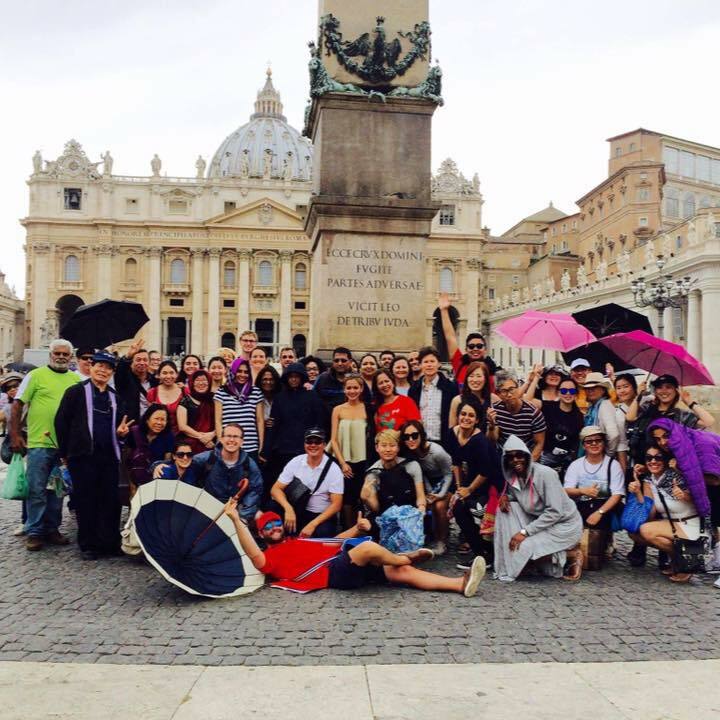 Arrive in Rome and make your own way to our accommodation for the start of the tour, and join up with your Expat Explore tour leader and fellow travellers at midday. We'll take the subway into the city centre to meet up with our local guide, who will introduce us to the incredible history of this unique city on a guided walking tour. Rome reigned supreme as the focal point of the Roman Empire, and the local guide will introduce us to highlights such as the Spanish Steps, the Pantheon, Piazza Navona, the Roman Forum and of course the Colosseum. Rome has so much to see and do we can’t list everything here, but your walking tour of Rome with a professional local guide will give you a great start for further exploration in your free time. You will see the Colosseum, Roman Forum, Arch of Septimus Severus, the Trevi Fountain, the Pantheon, Piazza Navona (Fountain of the Quattro Fiumi) and the Spanish steps. Our first stop is the Tuscan town of Siena, which is famous for its cuisine, wine, art, museums, medieval cityscape and the Palio, a horse race held twice a year. You will have time to explore before we continue on our journey. Later, we arrive into Venice in the early evening, a city immortalised in literature, film and art for centuries. Its timeless waterways and artistic masterpieces (more per square kilometre than anywhere else on earth) make it truly unique – this is a city that will capture your heart and imagination. Being Italian, there’s no shortage of incredible food and culture either! You have the evening free to relax at the hotel, or explore Venice with the option to join your tour leader on a twilight water taxi cruise of the Venetian canals. Visit Siena: we visit the Tuscan town of Siena, famous for the Palio horse race and also for its food and wine. You’ll start your stay in Venice with an orientation tour led by your tour leader so you can get your bearings, after which you have free time to explore this unforgettable city at your leisure. 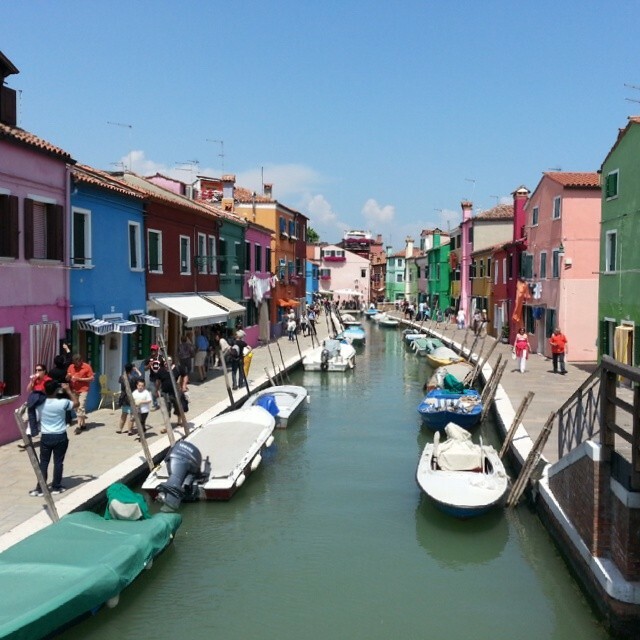 Every visit to Venice should include a gondola ride, which your tour leader can organise for you, as well as a trip further out into the lagoon to visit Murano and Burano. These islands are famous for their glass-blowing and lace-making crafts respectively, and rows of beautiful multi-coloured houses. Alternatively you can simply relax and soak up the sun on the sandy beaches at Jesolo or Lido. There’s also St Mark’s Square, The Bridge of Sighs and the Doge’s Palace to see – and any number of culinary delights to sample too! Orientation tour of Venice: your tour leader will take you into the heart of this unique floating city for an orientation to help you explore and see St. Mark’s Square, St. Mark’s Basilica, St. Mark’s Museum, Campanile (Elevator to the top), Doge’s Palace , Rialto Market and Scuola Grande di San Rocco. Crossing the border into Switzerland, we drive on to the Swiss Alps, climbing higher into the mountains to our accommodation in a typical Swiss mountain village in the Jungfrau region. One of the most popular alpine destinations, it’s a great introduction to the magic of the mountains – and makes for a memorable drive too. 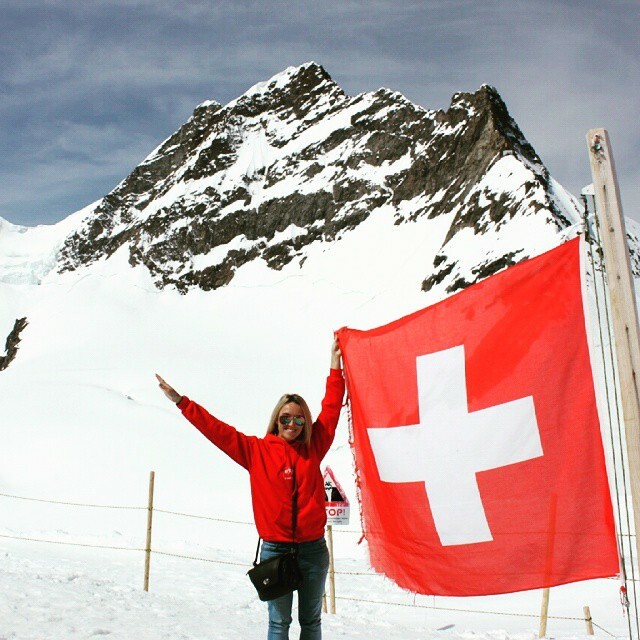 Dinner is at your hotel and afterwards relax, drink , chat with your fellow explorers and grab an early night as tomorrow you can join us on our most popular optional excursion – Jungfraujoch, the Top of Europe! 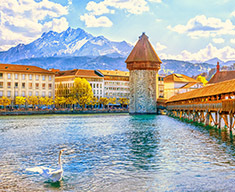 Spectacular views as we drive through mountain passes and alongside lakes, breath-taking mountain vistas and scenic views of quaint Swiss towns. Baden-Baden: enjoy free time to wander the pedestrianised streets, admire the grand colonnade architecture and have lunch in the spa town of Baden-Baden. This town is famous for its spas, horse racing and casino. Rhine river cruise: watch the beautiful scenery and the largest concentration of gothic castles in Europe go by as you cruise along the Rhine river. Rhine Valley wine tasting: visit a local wine merchants in one of Germany's most famous wine growing regions, and sample several types of delicious German wine. Popular varieties from the surrounding area and neighbouring regions include Riesling, Spätburgunder and Pinot Noir. This region is the only part of Europe that produces eiswein (ice wine), a highly prestigious dessert wine. The weather conditions have to be just right for the harvest in the freezing winter months, so this wine can only be produced in very small quantities. Cuckoo clock and beer stein shop: wander round the shop and admire the craftwork of the hand made cuckoo clocks, beer steins, music boxes, Birkenstocks and hummel figurines. This is the perfect opportunity to pick up a cultural icon of Germany as a souvenir. Leaving Germany behind this morning, head for the Netherlands and its capital, Amsterdam. Spend the day exploring to heart’s content. Amsterdam is awash with variety, with more canals than Venice, more bridges than Paris and more museums per square kilometre than any other city in the world! This evening take part in an included canal cruise with dinner. Settle into your hotel later this evening. Today you have the choice to either explore Amsterdam at your leisure, or join an optional excursion of the Dutch countryside on offer. 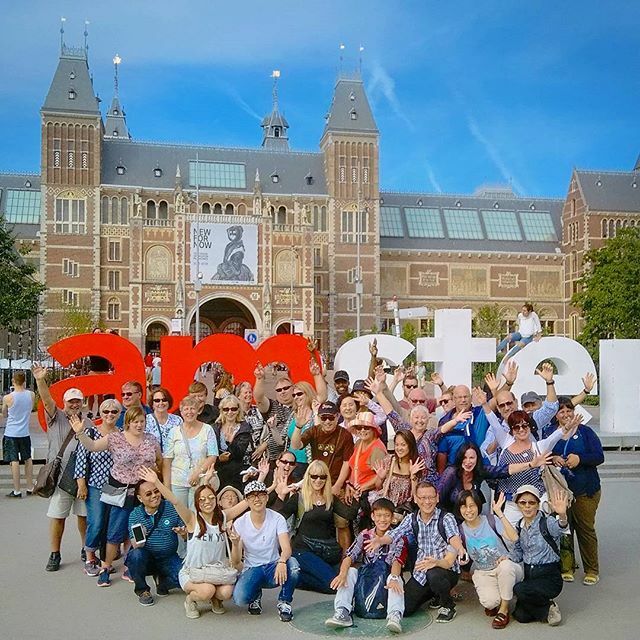 This excursion includes a visit to a local cheese farm and clog factory, a photo stop at the historical windmill village, Zaanse Schans, and a visit to the quaint seaside village of Volendam where can wander the streets filled with cafes and admire the picturesque views. 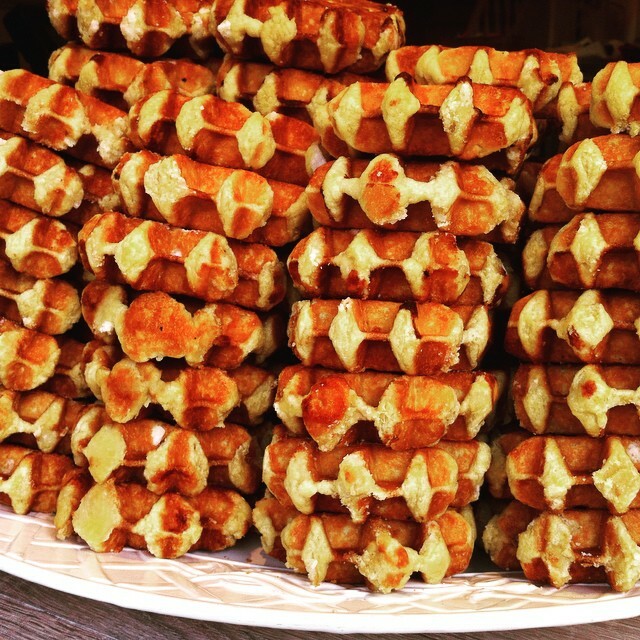 A stop in this beautiful medieval town with some free time so you could try the signature national dish of frites and moules, see or even climb the Belfry Tower, have a Belgian beer or buy some amazing Belgian chocolate. Your tour start in Rome and finish in London. Please have a look at our essential tour help page for detailed information.